For approximately the last seven years, china has managed to make its presence in Africa felt rousing the West in the latest scramble for the resource-rich continent. While this may seem like no major achievement, China has accomplished more in Africa in that short time than the West has for all the time ‘aid’ was sent ‘overseas’. Labelled the Dark Continent for economic and other purposes, it seems the West has used the ‘aid’ to Africa as a proxy to enrich itself. Western nations have been bringing back to the continent a fraction of what they have made off Africa in the name of ‘development aid’. China, on the other hand, has been a reliable ally and Africa as a whole has been able to grow, despite many challenges and accusations against the Chinese, in leaps and bounds. In Kenya, for instance, the Chinese have managed to transform the road infrastructure edging out local companies which have made billions but delivered nothing for decades. While this may seem like an African, or a Kenyan problem, most of the roads which were earmarked for upgrades were allocated resources by the West but they never got done. And, China is not done with Kenya yet. To be part of the much hyped big four agenda, over 80 enterprises from China were in Kenya in November last year for the China-Kenya Industrial Capacity Cooperation Exposition (China-Kenya Expo). The Western Countries have for long hypothesised that there a risk of Africa becoming overly dependent on China. This, according to these developed nations, could allow China to hold a high level of influence which is extremely uncomfortable for these nations. Despite the likelihood of this happening, the West has seemingly squandered the goodwill the continent had extended and so they have to be on the same table with the Chinese to negotiate in terms of who is the better partner for the continent. Looking at the economic environment, the US has lost the glamour of being the superpower while China is fast gaining the notoriety for being the behemoth that won’t let the US meddle with its economy. This shift in economic advantage that the US had over the countries in Africa is changing the narrative on the continent. Currently, China is more visible with its ‘development’ than the US or any other Western nation. Finance experts especially from the West feel that Chinese investment in Africa could be increasing debt unsustainably on the continent. This means that China is creating economies which are entirely dependent on the Asian country. These experts warn that this investment may not be as rubicund as it appears since it is creating an environment where the African nations will be so bound in debt they will surrender their sovereignty to China. 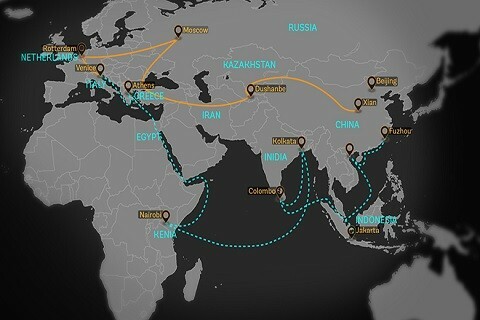 In September and October 2013 during visits to Kazakhstan and Indonesia, Chinese President Xi Jinping unveiled the Silk Road Economic Belt and the 21st-century Maritime Silk Road popularly known as the One Belt One Road (OBOR). The ‘Belt’ was to connect the three continents of Africa, Asia and Europe in an ambitious plan China says it is to ‘enhance regional connectivity and embrace a brighter future’. In September last year, the China-Africa Development Fund, an equity investment fund managed by the China Development Bank reached USD 10 billion. More than USD 4.6 billion would be invested in over 90 projects in 36 African countries especially in infrastructure, capacity equipment, agriculture, people’s livelihood, energy and resource development. According to the fund, upon implementation, these projects will channel more than USD 23 billion of investment from Chinese companies into Africa. From this investment, African exports will increase by USD 5.8 billion dollars, create USD 1 billion dollars of tax revenue and benefit more than 8.7 million people on the continent. The fund set up in 2007 following the 2006 Beijing Summit of the Forum on China-Africa Cooperation is to support Chinese companies in Africa. For the next stage, the fund which was started with an initial scale of USD 5 billion will expand investment in Africa and help further align the Belt and Road Initiative with Africa’s development.